How Can You Practice Crime Prevention? 1. EDUCATE YOURSELF ON CRIME PREVENTION TECHNIQUES. 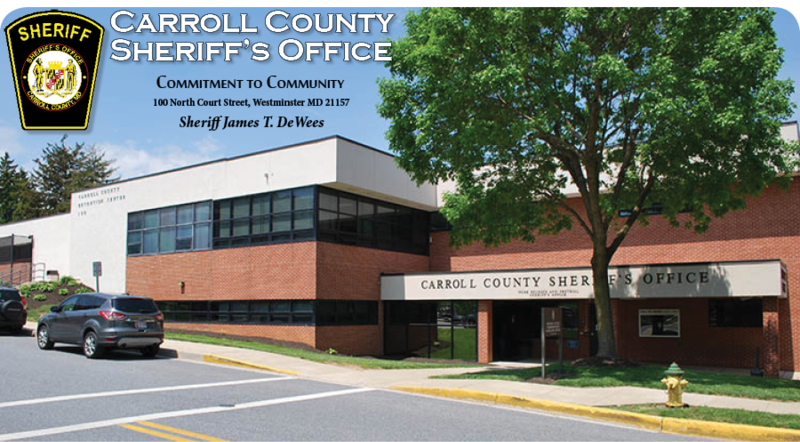 Contact the Carroll County Sheriff’s Office for information on how to make your home more secure, mark your personal property and maintain personal security. Know the location of the Sheriff’s Office and substations. Get to know and support your local deputy. Utilize the 911 system for emergencies and to report suspicious activities or circumstances. No violation is too small to be reported. Don't assume someone haas already reported the incident. Knowledge is POWER. Follow the news. Keep current on local crime problems. Attend public meetings. Become familiar with local crime trends and what proactive measures are being done to address the issues. Support groups, community associations, and other proactive neighborhood organizations are invaluable in combating crime. Encourage children to become actively involved in the effort to build character and foster a sense of security. 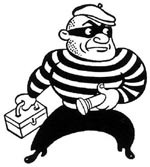 Break-ins happen much more frequently than most people think - and it's always a devastating experience. Our friends with the Safety, Health and Consumer Council have developed A Comprehensive Guide to Securing Your Home as a way to help promote safety and prevention awareness. This guide includes key steps and preventive measures that can go a long way in keeping home safe and secure while everyone is away. If you can leave your valuables at home, do so. If this is not an option, place your items in the trunk or out of public view. Verify that your vehicle is securely locked before leaving it unattended. Be mindful that remote locking devices can malfunction, so verify their proper operation before leaving the vehicle unattended. Windows and sun/moon roof allow a thief quick and easy access to your vehicle's interior and the property within. Access can be gained through a very small opening so ensure windows are completely closed and the sun roof secured. Consider the use of an alarm with an ignition kill switch and/or the use of an external steering wheel or brake system locking device. When possible, park in well lit areas with a high volume of pedestrian and vehicular traffic. Install a quality alarm system with clearly visible placards notifying a potential burglar of its presence. Have lights with motion sensors at all entrances to your home. When away, attach timers to your interior lights and play your radio to give the appearance that someone is home. Keep bushes and other vegetation closely trimmed and away from windows and doors to ensure they can not be used as concealment by someone attempting to break into your home. Only allow trusted friend and/or neighbors to know your vacation and work schedules. Do not hide spare keys in easily accessible places and do not surrender your house keys, to valets, tow truck drivers, mechanics, etc. Use a valet key or separate your vehicle key from your residential keys. Request photo identification from any repair person who will be entering your home. If any doubt exists, do not let the person inside and call their employer to verify their identity. Never give personal information to telephone solicitors or via the internet. Avoid leaving new boxes for electronic items or other expensive purchases outside on trash pick-up days. Instead, break down the boxes so their former content is not visible and recycle them. Make certain that your house numbers are clearly visible to assist law enforcement and other first responders in finding your home in the event of an emergency. By using these few guidelines, we can reduce the number of crimes occurring within our community and truly make Carroll County a great place to live, work and play.